With the proliferation of cloud computing services and the promise of cost savings and improved agility, organizations have developed aggressive cloud adoption strategies that have had less than favorable IT service management results. 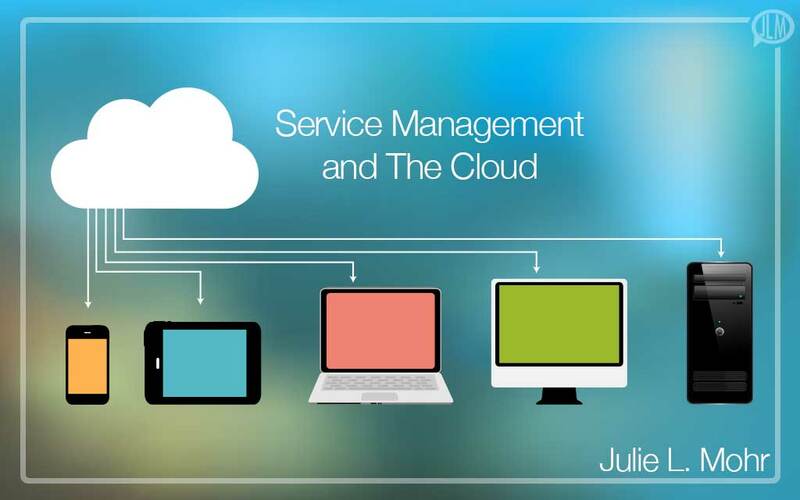 Organizations with an immature service management program are less likely to achieve the expected results from cloud computing due to process ineffectiveness and lack of service and customer orientation. Cloud computing provides service delivery options to organizations that are prepared to embrace an integrated cloud and IT service management strategy. Maturity in each stage of the service lifecycle and specific service management processes provides a higher level of confidence in cloud computing service options aligned with the desired business outcomes. Lack of maturity of service management processes increases the risk of cloud sourcing delivery options to the business and the desired business outcomes. Cloud computing has the potential to drive positive results from corporate strategies through innovation, improved return on investment, and competitiveness in the market space. However, to fully leverage the potential benefits of cloud sourcing, the service management organization must develop an integrated IT service management and cloud sourcing strategy. Lack of maturity of service strategy processes will result in service portfolio sprawl and increased complexity as services are made available from multiple providers and delivery options. Cloud computing provides the potential to expand the existing strategy by providing more cost-effective and scalable delivery options. To maximize the benefits of cost-effectiveness, scalability, and agility driven by cloud sourcing options, it is imperative that the IT organization identify the demand for services based upon a full understanding of business process activities and consumers of the service. Inability to quantify the need accurately can lead to penalties and additional fees when demand exceeds contractual terms and conditions. Financial models differ significantly with cloud sourcing including different charging and allocation methods. Cloud computing reduces capital and operational costs but increases costs associated with the transfer of the service, contract management, and governance of the end-to-end service. Lack of proper IT service-based accounting limits the IT service management organization’s ability to evaluate the financial viability of cloud service delivery options fully and quantify the value of the business and return on investment. Only services that can maximize the benefits of cloud delivery models while minimizing organizational risks related to the security of customer data should be considered as candidates for cloud sourcing. Mature business relationship management and service portfolio management processes provide the decision-making capabilities to thoroughly evaluate new market opportunities, sourcing options, and financial models in alignment with the desired business outcome. The introduction of cloud computing models must be considered within a comprehensive view of all existing services, service assets, availability of resources, and organizational capabilities. Formalized service design methods and practices deliver considerable success for the business when the IT service management organization uses a holistic design approach to produce outcomes aligned with business requirements. Cloud computing delivery models require a holistic and integrated design of the end-to-end service including the efficient use of external and internal resources and a comprehensive understanding of the data, application, management, and technical architecture requirements. Lack of maturity of service design processes may result in project overruns and increased supplier, security, and continuity risks. Security is both an opportunity and a potential risk in a cloud computing environment. While cloud sourcing may provide additional security controls and mitigation that are not currently robust internally, it is imperative that those controls are measured and demonstrate that the cloud provider is meeting its contractual obligations. Security requirements related to critical business data stored in cloud sourcing arrangements must be identified and communicated. The cloud provider must demonstrate that security controls are adequate, continuously monitored, and improved. Transfer of security risks to cloud providers may mitigate risks to the business, but the sourcing relationship requires a higher level of governance to ensure compliance with security requirements, laws and regulations. Supplier management process maturity is imperative and must deliver contract rigor with complete understanding and identification of terms and conditions and warranty targets aligned with business requirements. Political considerations must be identified to ensure that contracts adhere to international law. Additionally, supplier management must meet regularly with cloud providers to ensure that services are reviewed and continuously aligned with changing business needs. The performance and quality of a cloud computing delivery model depend upon the proper design of the warranty of the service. The maturity of availability, capacity, information security, and IT service continuity management processes ensure a focus on the alignment of the service performance with the defined business requirements. Scalability and agility of cloud delivery models are optimized when the cloud sourcing provider has a clear understanding of the desired quality and performance of the service. 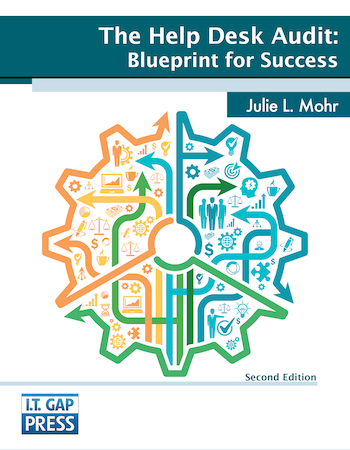 Transfer of a service to a service provider requires sound service transition practices that include management support, resource allocation, transfer of knowledge, and comprehensive transition plans. Lack of maturity of service transition processes will increase change-related risk. Cloud service delivery options must be validated fully before going live to ensure the service is capable of delivering the desired outcomes to the business. IT service management data is critical for decisions on how to manage services efficiently and thus requires an integrated data set that includes internal and external data. Ownership of all service-related data must remain with the business and access to the data must be provided without limitation to enable IT service management organization’s knowledge management and decision-making capabilities. Critical knowledge requirements include service asset and configuration management data to track end-to-end service component relationships and dependencies. Many cloud sourcing relationships limit visibility into the cloud provider’s environment and thus hamper the ability to evaluate end-to-end service capabilities and performance fully. Successful change management requires a high degree of trust and transparency with the chosen cloud sourcing partner. The change management process must be seamless across the service provider interface to successfully manage risk internally and externally related to changes in end-to-end service delivery. The IT service management organization must be able to fully evaluate risk related to change and understand the impact of failed changes. The cloud computing provider must successfully manage the impact of changes in the cloud infrastructure, and when failed changes occur, the financial penalties within the supplier’s contract must be invoked. Service data that encapsulates the entire customer experience drives decision making and the ability to manage the service in alignment with changing business needs effectively. Measurement of the complete customer experience requires integrating operational performance data from the cloud provider and internal data captured by the IT service management organization systems. Supplier risks must efficiently be managed during service operation. Lack of maturity in service operation processes will result in lower levels of service warranty and a potential breakdown in information flow and communication with the cloud service provider. Problem management and incident management must have defined roles and responsibilities and clear process definition to ensure that the cloud service provider and internal resources work together to restore outages and to eliminate the root cause of repetitive failures. Incident logging and lifecycle tracking must be integrated across the service provider interface to ensure proper and timely restoration of service but also for appropriate categorization of data to drive trend analysis and continuous improvement of services. Early detection and prevention of failures requires a mature event management process and monitoring capability to capture data for trend analysis, problem resolution, and improved management of capacity and thresholds. Measurement of service level targets and key performance indicators for end-to-end service performance in alignment with business outcomes drives continuous improvement within an IT service management program. A significant weakness of many cloud computing models is the lack of maturity of a measurement framework that provides visibility of end-to-end service delivery and the ability to quantify the value to the business of cloud sourcing alternatives. While many cloud sourcing models provide warranty measurements related to availability, reliability, and mean time to restore services, these metrics fall short of measuring the value proposition of cloud sourcing in driving lower service costs, scalability, and increased agility. Lack of maturity of an end-to-end measurement strategy limits the ability of the IT service management organization to quantify the business value of cloud delivery models and continually align services in the portfolio with changing business requirements. Service-orientation is instrumental in maximizing the benefits of cloud computing in an IT service management organization. Awareness of the importance of business value driven through the delivery of services aligned to business objectives ensures that IT service providers evaluate cloud sourcing alternatives based upon the desired business outcomes versus merely as a cost optimization strategy. Additionally, the maturity of critical service management processes improves the organization’s ability to maximize the benefits while minimizing potential risks and challenges. IT service management organizations must develop an integrated cloud and IT service management strategy to leverage the benefits of cloud computing and improve service management effectiveness. Alternative delivery models must be incorporated into a seamless and holistic service design to ensure better alignment of the service with current and future requirements of the business. Once the IT service management organization embraces cloud computing as an optional delivery model, careful planning will ensure that the service is transitioned, delivered, and governed with a high level of performance and adequately managed supplier risks.